Drakenstein Stud’s champion sire Trippi looks to have a smart sort on his hands in the form of the Klawervlei Stud bred filly Guns And Roses. Trained by Geoff Woodruff, Guns And Roses made it four wins on the bounce (and four wins from just five outings overall) with a game last minute win over stablemate Alexa over 1800m at Turffontein on Sunday. Bred on the same Trippi/Gone West cross as G2 Swale Stakes winner Travelin Man, the 3yo Guns And Roses could now well be pointed towards some feature races next season. Another daughter of Trippi, In Other Words, went close to giving her sire yet another feature race win when just touched off in the Listed Off To Stud Stakes at Greyville on Saturday. From the yard of champion trainer Sean Tarry, In Other Words has now won or placed in 11 of six outings. 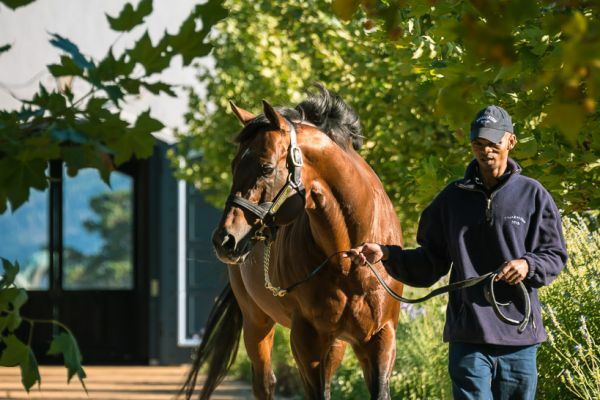 Champion Sire last season in South Africa, Trippi has enjoyed another tremendous season in 2016-2017, with his top runners including G1 Premier’s Champions Challenge winner Deo Juvente, G2 Selangor Cup winner Gold Standard, and top sprinters Live Life and Trip To Heaven. Sire of 67 stakes winners, Trippi’s five lots on offer at next month’s National Two Year Old Sale include a colt (bred on the same cross as Trip Tease) out of G1 SA Fillies Sprint winner Wonderful World (Lot 245), a colt out of a stakes winning daughter of Rock Of Gibraltar (Lot 267) and a half-brother to G2 Betting World 1900 winner Solid Speed (Lot 295).